Thank you to the students and readers of the Pasadena Weekly for voting Altadena Academy of Music the reader recommended music school in the 2017 Best of Pasadena issue! 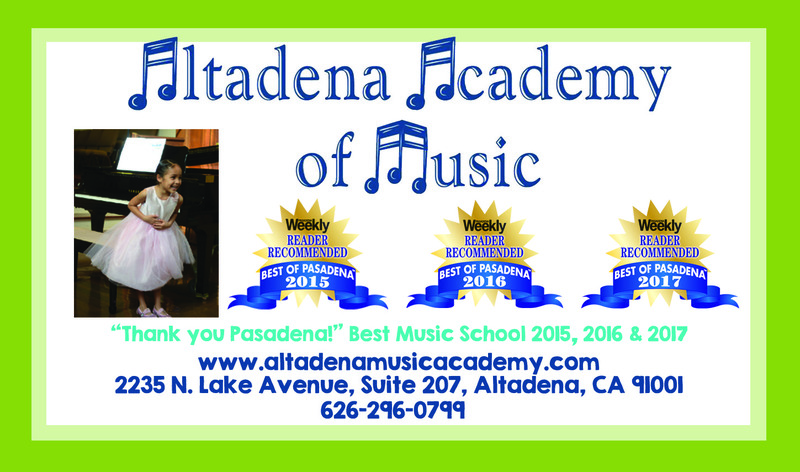 This entry was posted in Altadena, Awards, Music School, Pasadena and tagged Best of Pasadena by altamusicschool. Bookmark the permalink.